One of the biggest problems that a lot of people have with Google is that they think it will trap them in a filter bubble. 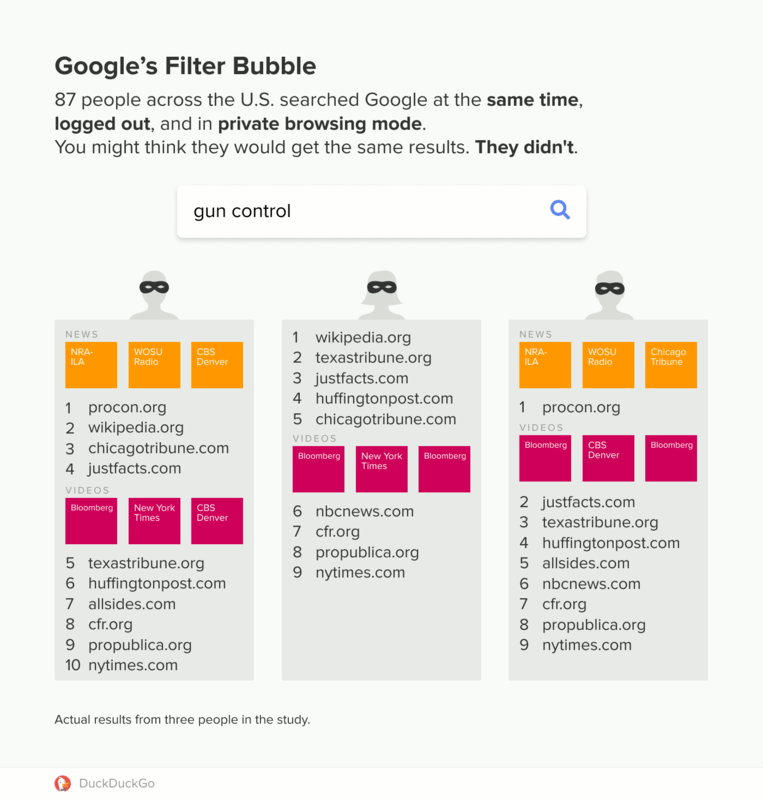 A filter bubble is basically when your search results are heavily personalized, and they end up only showing results that support your specific personality. This is a huge problem because of the fact that it could potentially prevent you from gaining access to objective information, and it could potentially trap you in a bubble where you would think that everyone thinks the same way as you do. Google has claimed that the filter bubble does not exist, that everyone will get the same results from Google no matter who they are. 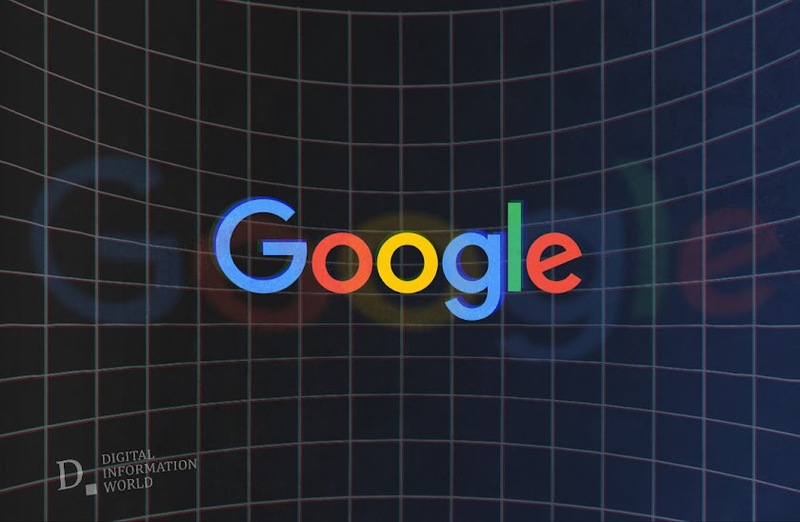 However, a competitor of Google named DuckDuckGo, a search engine that focuses on user privacy and strives to provide objective search results, has posited that this may not be entirely true. They asked users on Twitter to search for specific terms and screenshot their results. Nearly a hundred users responded, and it turned out that the responses they were getting to their search queries were wildly different from one another. This means that a lot of the problems that people have with Google may be based in reality. It should be noted that this was not an objective study conducted in a clinical environment. Also, DuckDuckGo clearly has a bias against Google. However, this does raise a few questions that should definitely be answered in some way. The great thing about Google is that it connects you to so many new things, but if those things are designed to support your personalized data then there is no point. Google’s data collection policies still remain somewhat of a mystery, and this is at least some proof that more investigation is needed. Update: Google also replied on this new study stating: "Over the years, a myth has developed that Google Search personalizes so much that for the same query, different people might get significantly different results from each other. This isn’t the case. Results can differ, but usually for non-personalized reasons." clarified Google SearchLiaison ‏team on Twitter in a series of tweets. Adding further, "The assumption is that results have been customized in some way based on information unique to an individual, such as search history. FYI: we do not personalize search results based on demographic profiles nor create such profiles for use in Google Search."